I would like to share with you today a new procedure, which I think will revolutionize the practice of rhinoplasty. Rhinoplasty commonly involves removing a bump on the nose. Until now, the way we removed a bump on the nose was not very different from the way that we removed such a bump a century ago. When Dr. Joseph and others developed rhinoplasty, they used saws to cut through the nasal bone. These saws were crude instruments, and even the early practitioners of rhinoplasty realized their functionality was limited. Soon cosmetic surgeons began using sharp chisels called osteotomes to take down bumps. Although effective, osteotomes often removed bone unevenly or took too much bone resulting in a “scooped out” look. Eventually, surgeons developed rasps to carefully remove layers of bone. These rasps were similar to the rasps used by carpenters to plane wood, and had limitations. They were still used blindly and could tear the underlying cartilage as well as damage the overlying skin. Rhinoplasty surgeons have adapted well to using rasps and achieve wonderful results, but the practice of rhinoplasty has not advanced from this stage for over 50 years. Rasps are still used each day in 100’s of rhinoplasties performed across the world. Many variations of rasps, including powered rasps, have been developed, but the final technology is really the same. What I would like to introduce today is a new technology, an ultrasonic, 21st century technology that enables us to sculpt bone in a way that former surgeons could never accomplish. I would like to introduce you to sonic rhinoplasty. Sonic rhinoplasty uses ultrasound waves that very quickly vibrate a fine metallic tip. This tip precisely dissolves the nasal bone which is washed away from the field of surgery. The ultrasonic bone aspirator enables us to actually sculpt the bone under direct vision in real time. Not only that, the ultrasonic bone aspirator won’t injure the skin and won’t injure the cartilage like a rasp does. It allows a degree of precision that has never been enjoyed before by the rhinoplasty surgeon. 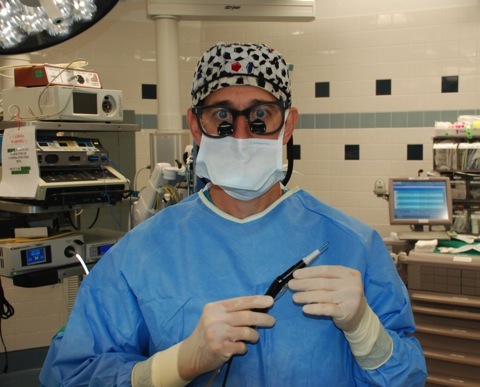 Recently, I have been retained as a consultant by Stryker to help improve their Sonopet device. As the originator of Sonic Rhinoplasty, I am delighted to join with Stryker in an ongoing process to perfect this technology and improve patient care.